The grade of Baltic birch plywood that we well is called "BB/BB" which means it may have up to 6 color matched patches on one side in a 5x5 area. Currently it's the only kind we stock, so regretfully we can't guarantee it to be any different from what it is. 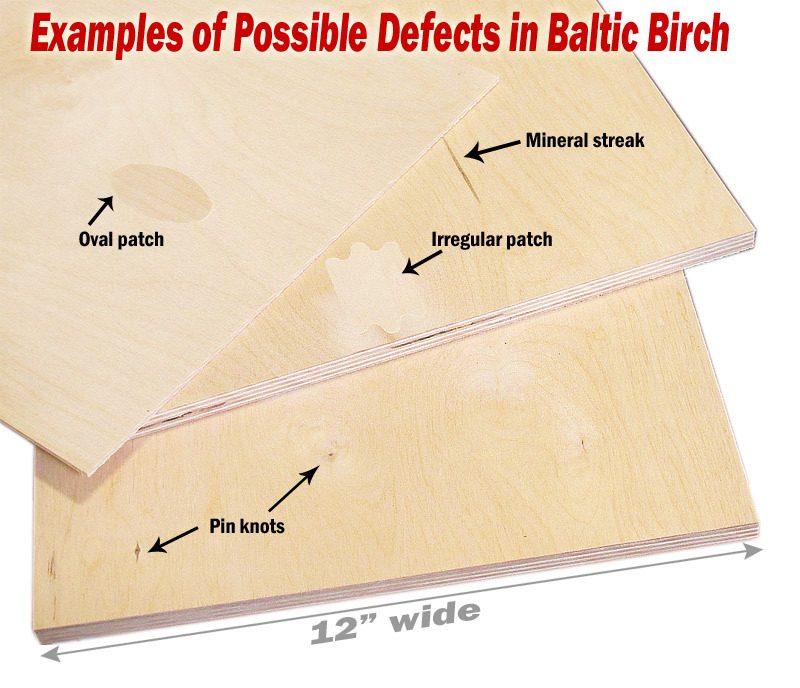 Patch-free Baltic birch is a much more expensive product, and more difficult to come by. The grade we offer is a balance between cost and appearance. In BB/BB grade it's more of a utility kind of plywood rather than a finish or show grade, unless you can manage to work around the patches (or simply work with them).